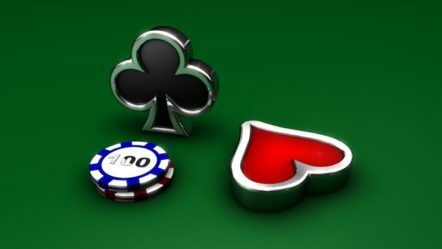 This article shows the Texas Holdem Poker Rules by dividing this into simple sections. 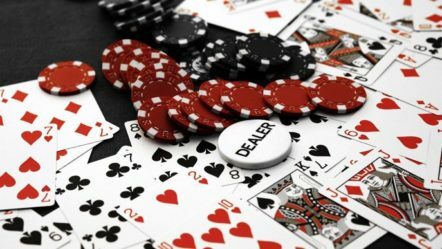 Texas Hold’Em can be played with three different ‘betting structures’ these are: No-Limit, Fixed-Limit and Pot-Limit Texas Holdem Poker. The rules concerning how the sequence of the game runs is the same for all three types, so this will be covered first. The different betting structures will then be outlined with reference to the general Texas Holdem Poker Rules. The initial ‘pot’ in Texas Holdem is made up of two “blinds”. The player to the immediate left of the dealer (the player with the ‘dealer button’) posts the “small blind” and the next player to his left posts the big blind. The size of the blinds is determined by the buy-in of the game you join. The big-blind usually begins as 100th of the maximum buy-in for the game, with the small blind being half of the amount of the big blind. The dealer position and the players posting the blinds move clockwise around the table after each hand. Next each player is dealt 2 cards face down (only seen by each individual player). Each player then gets the opportunity to decide whether to play their hand starting with the player to the left of the big blind. Each player in turn can decide whether to fold their hand, “call” (bet the amount of the big blind), or raise (bet a larger amount depending on the betting structure). If a player who has already acted has raised then the minimum bet is the amount of that raise. Once the pot is raised players have the opportunity to raise once more, the minimum increase in the bet is the size of the big blind. The maximum is determined by the betting structure of the game being played. Betting is concluded when every player has decided whether to fold or call the highest current bet. For example; if the last player to act raises more then all the players have an opportunity to react to that bet before the community cards are dealt. Next three cards are dealt face up in the middle of the table. This is known as “the flop”. At the end of the hand players will use the cards from their hand together with the “community cards” to make a poker hand. The flop will thus give players a good idea of whether they will make a good poker hand by the end. Once the flop is dealt the first player left of the dealer button who did not fold beforehand starts the betting. This player can “check” (bet nothing’) or raise. Betting travels clockwise around the table until all players have reacted to the last raise. After the flop betting is complete a fourth card is added to the community cards. This is known as “the turn”. Again betting starts to the left of the dealer button and continues until all active players have reacted to the last raise. The final community card, known as “the river” is then dealt. This is followed by the final round of betting. After betting is completed players must show their hands to determine who wins the pot. 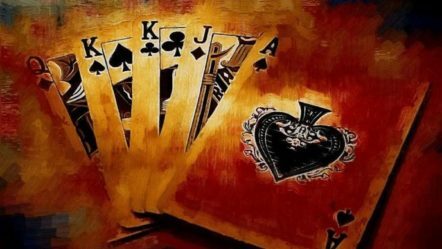 The winning poker hand must be made up of five cards. 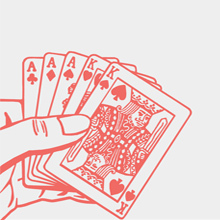 This hand can use any combination of the community cards and the cards in a player’s hand. This can involve two of a player’s own cards, just 1 with 4 from the board or even just the five community cards. Fixed-Limit Texas Holdem has pre-defined amounts that can be bet during the game and also a fixed number of raises that can be made. Most limit games start with bets or raises the same size as the big blind. After the turn is dealt the betting limit doubles to twice the big blind. There is a limit of four raises on each round of betting. No-Limit Texas Holdem involves betting however much you like! The limit is set at the money you have in front of you at the start of the hand. The minimum bet or raise in No-Limit Texas Holdem is the size of the big blind. 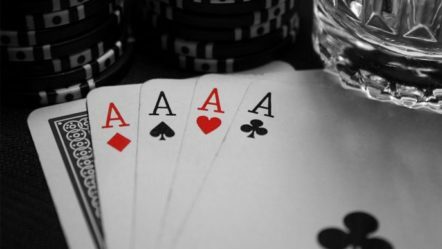 If a player is “all-in” at any point in the hand then the pot is separated and a new pot started should remaining players wish to continue betting. The all-in player only having an interest in the pot that they contributed to. 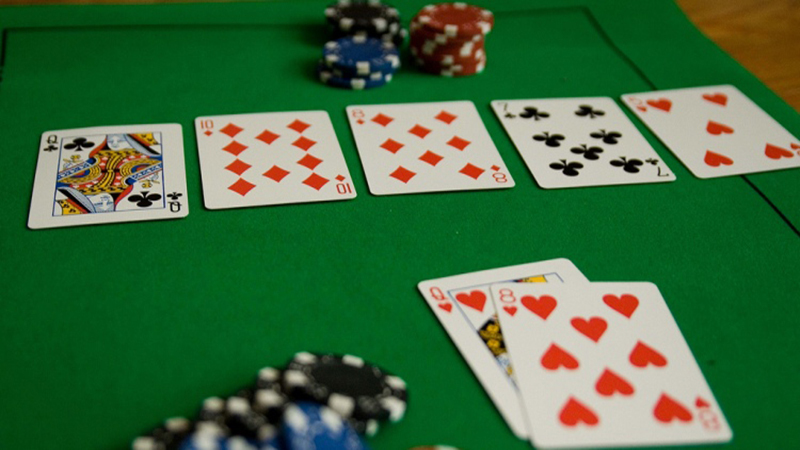 Pot-Limit Texas Holdem involves bet sizes up to the size of the current pot only. The minimum bet is again the size of the big-blind. 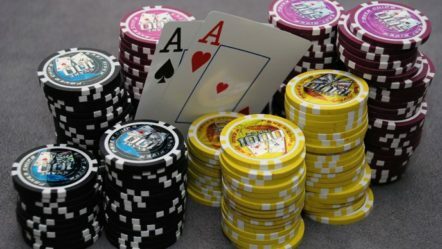 Raising in pot-limit Holdem means that opponents can re-raise the size of the new pot, so the pot can often grow very large. There is a good article in the Guardian regarding poker rules.